I love well-made animated movies and tv shows- especially the one’s being put out today. The stuff coming out of the DC Animated Movie studio is spectacular. Marvel’s stuff isn’t as solid, but they’re trying. And don’t get me started on Japanese Anime1. I originally wrote a post on my favorite animated scenes in 2006. A lot has happened in the world of animation since then… so I think it makes sense to update this list – and expand it to seven. 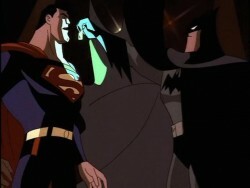 Batman meets Superman – Superman, the Animated Series (“World’s Finest Pt. 1”, Season 2, Episode 34). Superman – The Man of Steel. The Last Son of Krypton. The Man of Tomorrow. Batman – The Dark Knight. The World’s Greatest Detective. The Caped Crusader. Both are orphans, but that is where the similarities end. One is an alien from another planet, with God-like powers. The other, the perfection of human innovation, intellect, and physicality. One is loved; the other, feared. My favorite is their initial introduction in “World’s Finest, Part 1”; how they first meet each other, and discover each other’s identities is perfect. Jaga pulls an Obi- Wan Kenobi – ThunderCats (“The Exodus”, Season 1, Episode 1 [Volume 1]). I first watched this when I was in elementary school (I was maybe in 2nd or 3rd grade), so any death was going to be a shock. I wont go through the whole story3; the summary is as follows: the ThunderCats have to leave their home planet. They’re attempting to escape when attacked. 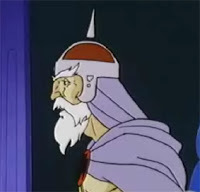 Their ship is badly damaged, so Jaga the Wise, Lord of the ThunderCats4, has to manually pilot the ship (while the others are in suspension capsules that slow their aging). Jaga dies while piloting the ship to safety. He freaking evaporates into a cloud of dust (and re-appears as a force-ghost phantom). I was floored when Jaga died. Maybe a little too much for an elementary school kid to digest. Aang goes HAM – The Last Airbender (“Sozin’s Comet: The Final Battle”). I love this Nickelodeon series5. It’s a great show that both kids and adults can enjoy. Aang is the Avatar (a being that can control water, wind, fire, and earth), and he must face the powerful Fire Lord (who has been waging a war against the other nations). Noramally this would not be an issue, but (a) Aang isn’t a fully realized Avatar yet (he can’t control all 4 elements) and (b) the Fire Lord is at his strongest, due to a nearby comet that increases his power6. Aang is losing the battle, and is knocked into a rock. Luckly, this unlocks his ability to enter Avatar State (where is able to communicate with his past lives for knowledge and wisdom). 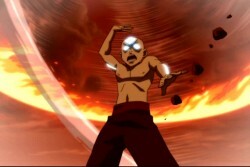 Using this power, Aang goes in on the Fire Lord, ultimately taking away is power using Energybending. Another great scene is from Justice League: Doom. This is officially part of the DCAU, but hands down, perfectly shows the relationship between the two. You can read it here. Or watch it here. It’s kind of hard to follow… just rent the whole series and thank me after you watch it.